Ibrahimovic last week ended a short but successful stint at United – where he won the League Cup and the Europa League – to become the latest high-profile player to move to the MLS, following the likes of David Beckham, Steven Gerrard, Thierry Henry and Frank Lampard. Mourinho used his news conference ahead of Saturday’s Premier League game against Swansea City to pay tribute to the talismanic Swedish forward who he previously coached at Inter Milan. “For me it’s always sad when the big players move towards the end,” Mourinho told reporters. “I remember Luis Figo’s last match with me and Inter, it was one of my saddest moments. The Zlatan goodbye was more in that direction, he’s a huge player that European Football has lost. 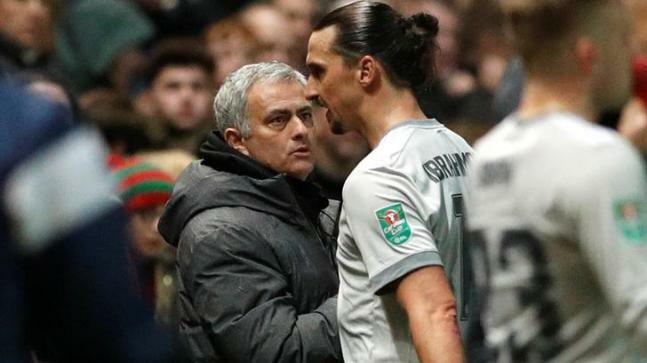 Ibrahimovic sustained a bad knee injury in United’s Europa League quarter-final against Belgian side Anderlecht last April but returned to make seven appearances for the Old Trafford side this season. United will be without back-up goalkeeper Sergio Romero for the weekend’s game, after the Argentine international picked up a knock in his country’s 6-1 friendly defeat by Spain. Ashley Young was also injured on international duty with England but could play against Carlos Carvalhal’s 14th-placed side. United are second in the table on 65 points from 30 games as they bid to finish as runners-up to champions-elect Manchester City.